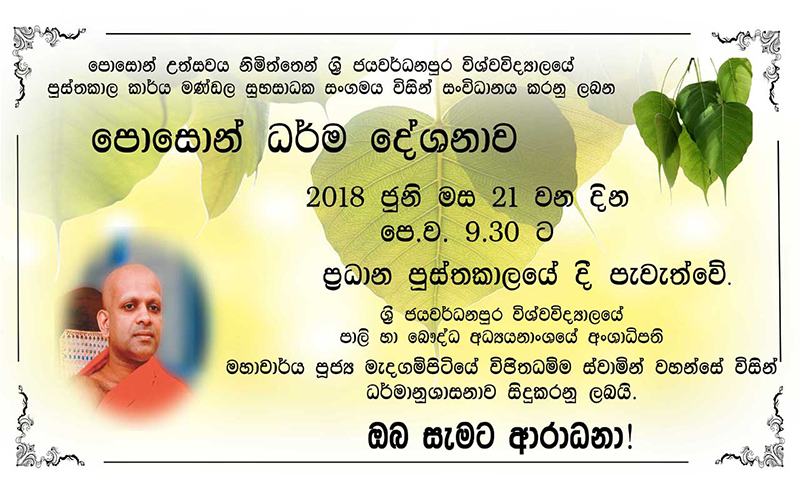 Poson Dharma Deshana, organized by the Library Staff Welfare Society of the University of Sri Jayawardenepura will be held on 21st June 2018 9.30 am onward at the Main Library premises of the university. Dharma Deshana will be conducted by Ven. Prof Medagampitiye Wijithadhamma, Head of the Department of Pali and Buddhist Studies in the Faculty of Humanities and Social sciences of USJP.